KG & Primary Wing of SIS spent a day admiring the beautiful nature around them. 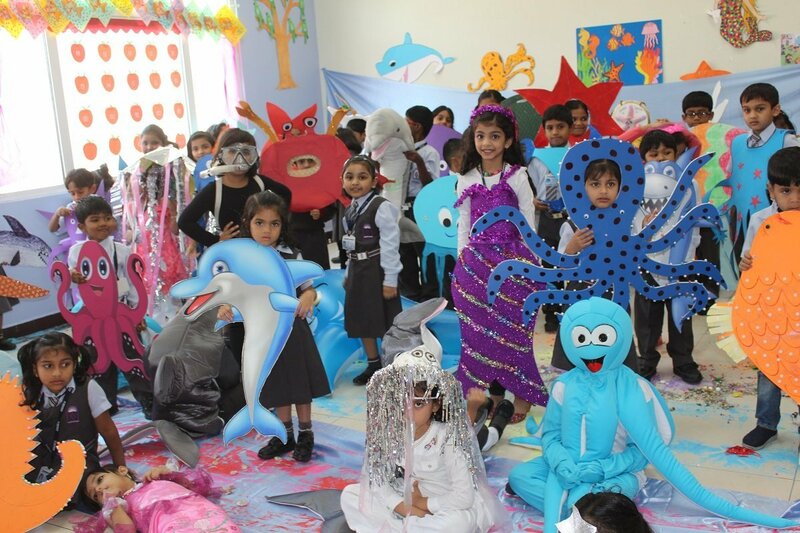 Whales, octopus, mermaids, jelly fish, dolphins and a variety of marine creatures got together to stir the little hearts and inspire their imagination bringing eternal joy…..
Inquisitive and curious young ones got a deep insight into the beautiful fragile world of ocean. 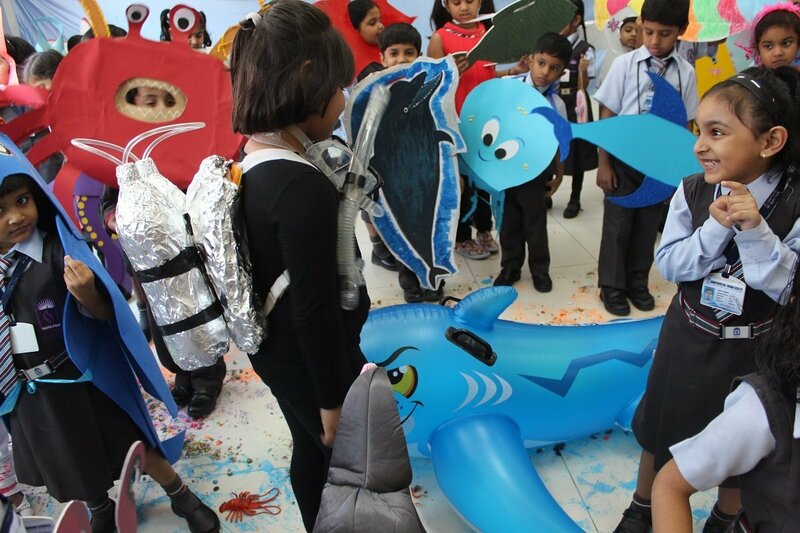 They explored the treasure troves of the oceans through numerous hands-on activities. 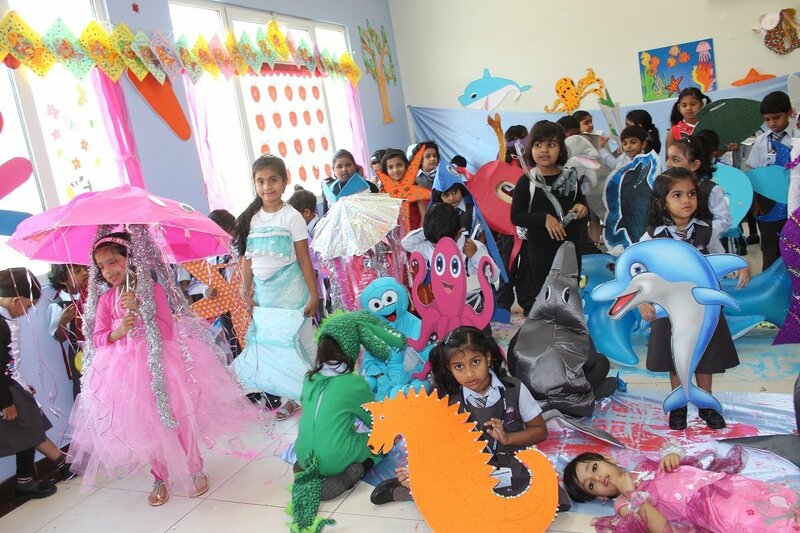 The tiny tots came dressed in costumes of fascinating sea creatures and gave a brief description of the sea animals. It helped them to gain knowledge on the dazzling spectrum of life deep under the sea. 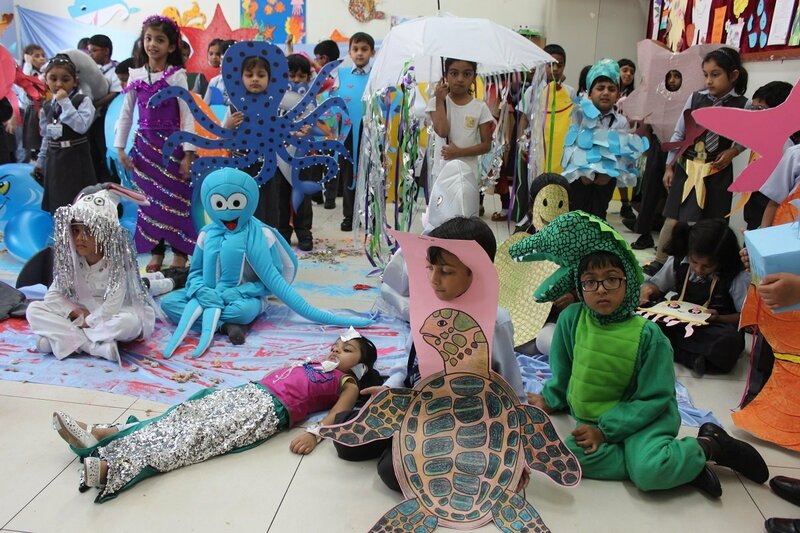 Group songs and rhymes related to marine life were enjoyed by the kiddies and enlightening speeches by the students of STD I & II reflected on the importance of ocean for our planet and the need to protect it from pollution and exploitation. 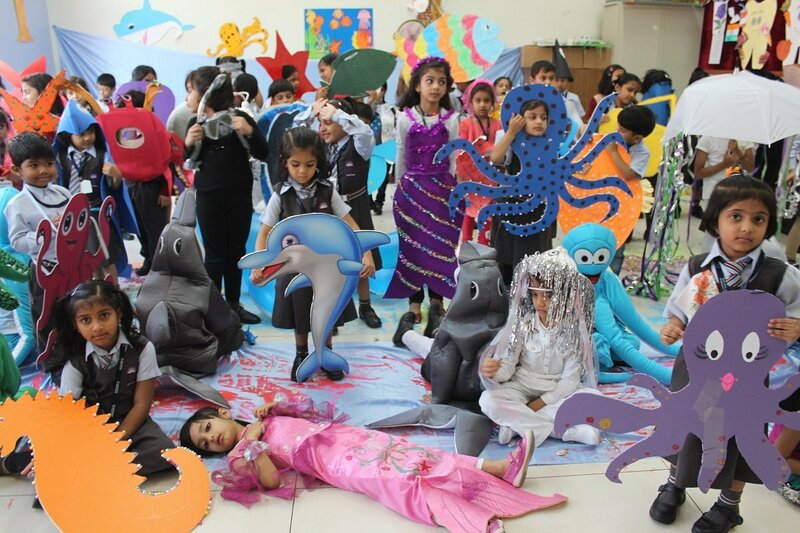 Video clippings related to wonders of the sea were shown to the children. 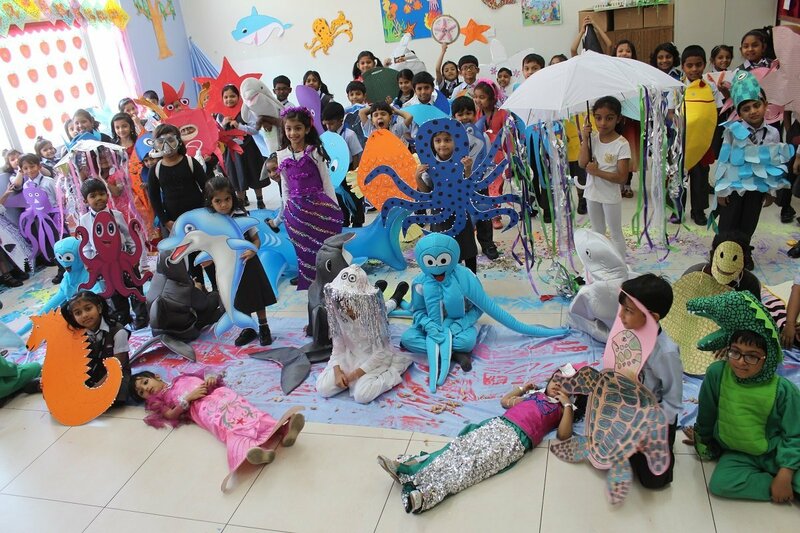 This activity exposed the little ones to the captivating life under the sea. They were mesmerised by the awe-inspiring underwater beauty waiting to be explored. It awakened the quest for learning more about the vital blue heart of the planet. Children got engaged in creative and aesthetic thoughts. Children were astonished and extremely excited to see the sea wonders which are truly amazing. Children learnt to appreciate the marvels of Mother Nature. It was just a beginning….. The activity increased awareness of the importance of healthy seas for human dwelling. It kindled pride and responsibilities towards marine environment. 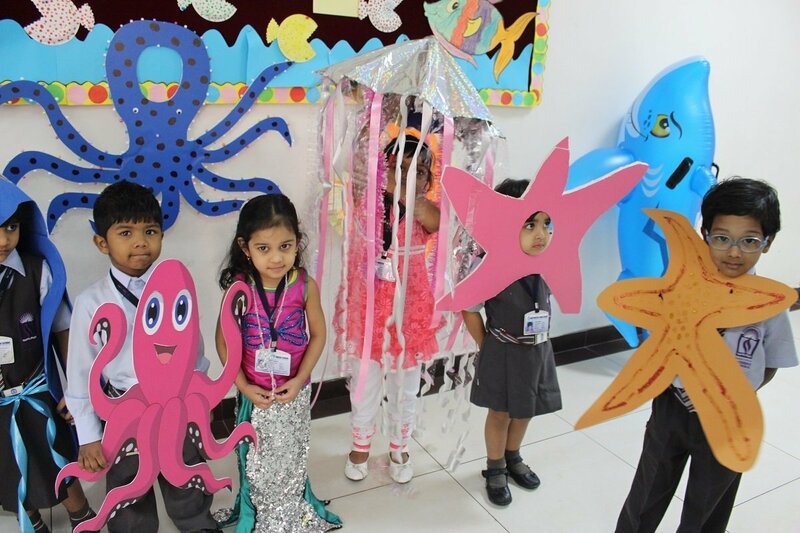 The rich marine experience filled the tiny tots with glee and exultant joy…. they went home adorn with smiles on their faces.